Tonight’s post is the overdue (eek!) assignment for Week 3 of my Blog With Pip course. It seems nothing has changed since my uni days, I’m still an over thinking, procrastinator who always does the last minute/all-nighter cramming sessions or consistently has to grovel for extensions on assignments! Anywho, I do always get there in the end, albeit late – story of my life! So, our task was to take at least five photos over the weekend and write a post about them. Hmmmm, well our weekend was made up of working in the packing shed, netball, working in the packing shed, a playdate for Jack, working in the packing shed, the hockey sign on, working in the packing shed, Sunday lunch at Grandma’s (the highlight!) for the kids and I but not Matt, because, yep, you guessed it, he was working in the packing shed. As you can see, there was not a lot of material in there for exciting photo opportunities. So, my dear blog readers, you are going to be taken on a photo safari of ……………………………… wait for it ………………………………. it’s an adventure …………………………. 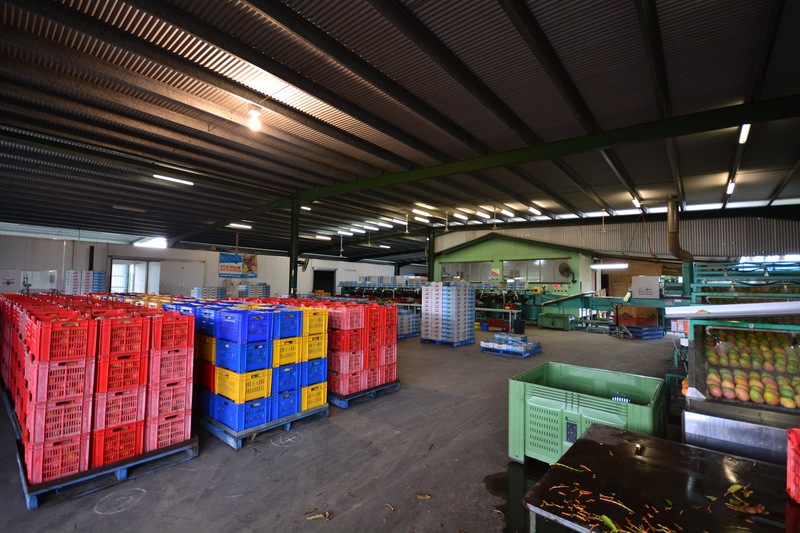 Saturday Mango Packing – Blue Sky Produce shed style! Wahooooooo – don’t get too excited now! Seriously though, come and check it out. 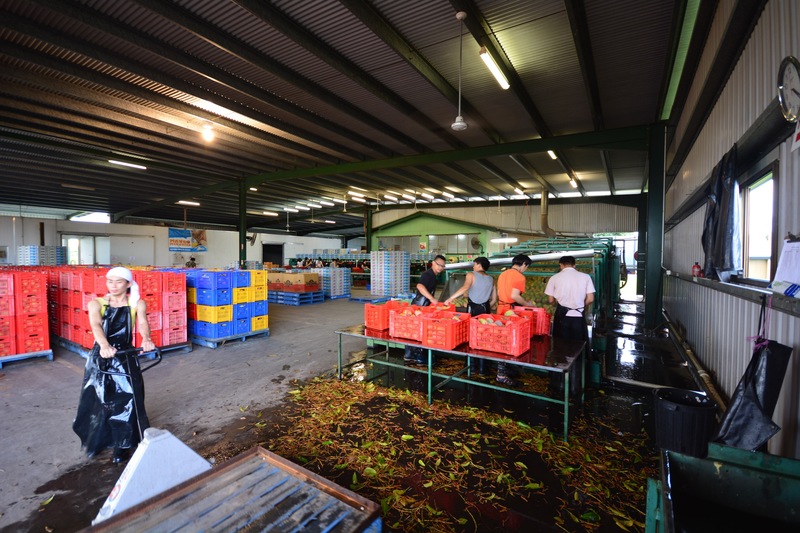 Although not as adventurous as my classmate Julie’s weekend at Phillip Island or as giggle-worthy as this post by ‘Gloves Off” , you might find it a little interesting and learn something all the same! Here we go! 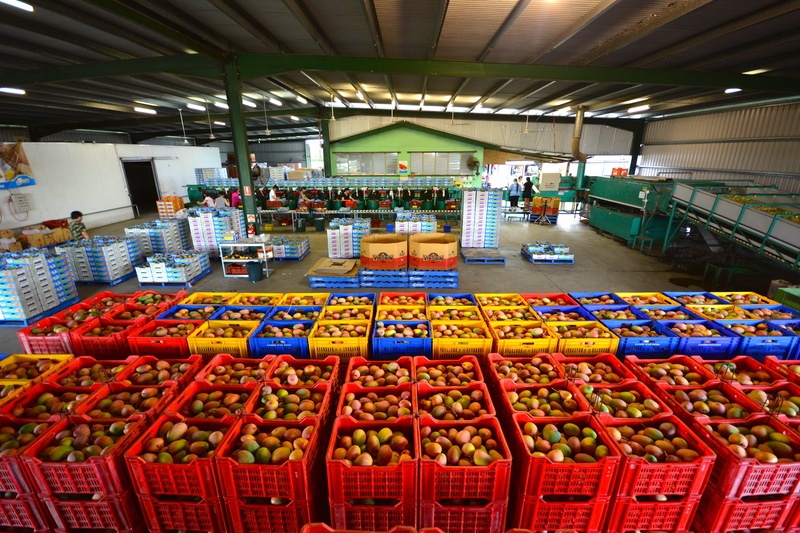 Morning commences at 6.30am with 30 pallets of Keitts mangoes ready and waiting for packing! 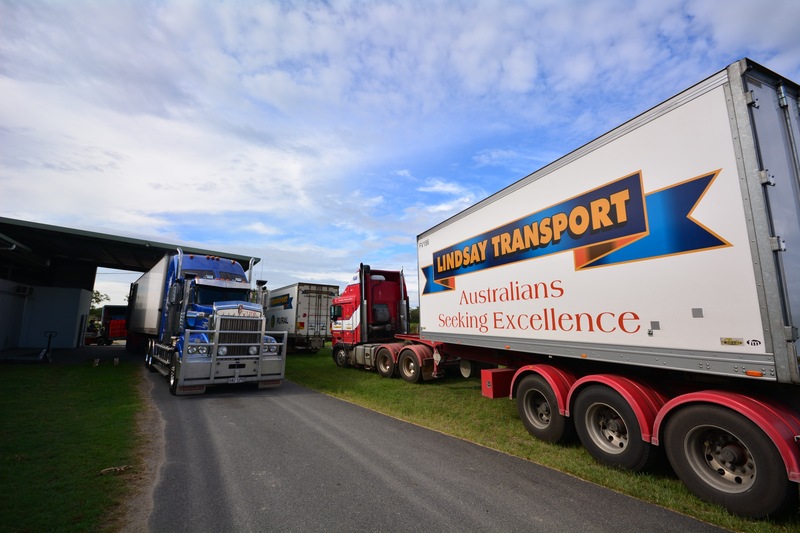 Murphy’s Law – of course all four trucks that are due to arrive on Saturday at Blue Sky, manage to all turn up on the driveway at the same time, right on shed start up time! De-sapping work crew of five boys gets started dipping, snapping mango stems off and loading mangoes on to the de-sapper. 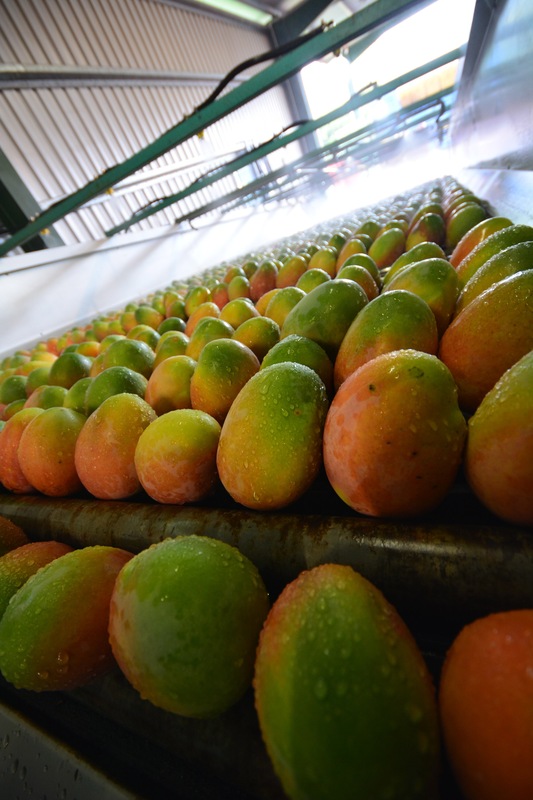 Mangoes having a wash with citrus soap which breaks down the sap. 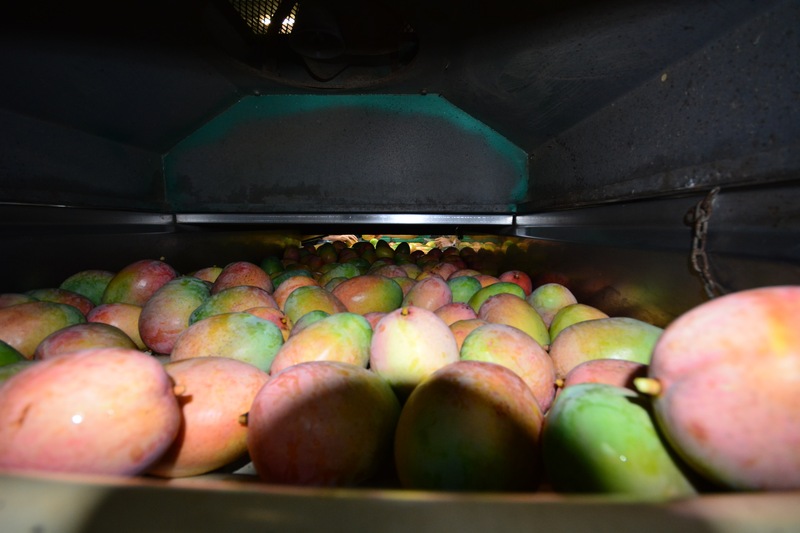 Mangoes getting a polish with the brushes. 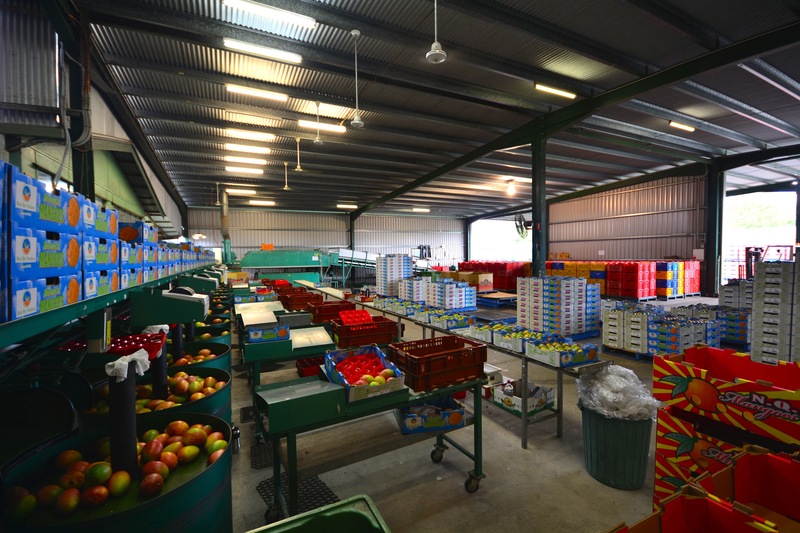 The Blue Sky Produce shed hard at work! 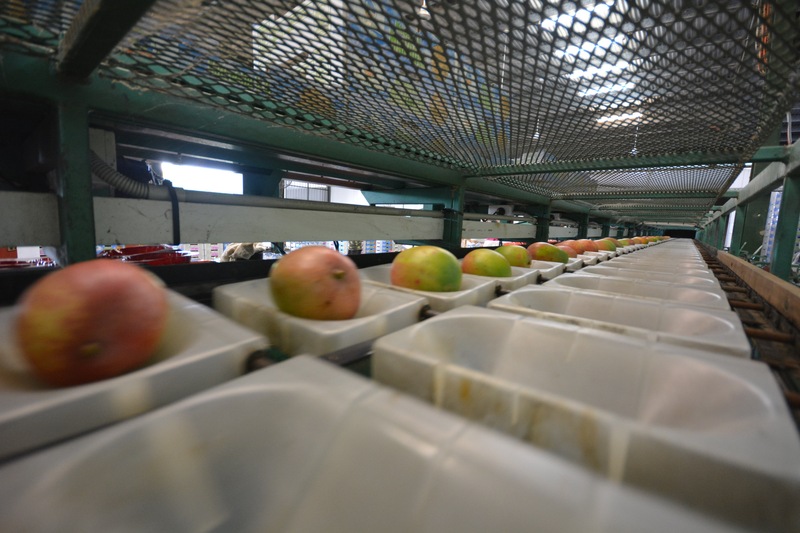 Mangoes getting weighed and sorted by size on the grading line. The quiet that is a break for lunch. 6pm Knock Off time – hooray! 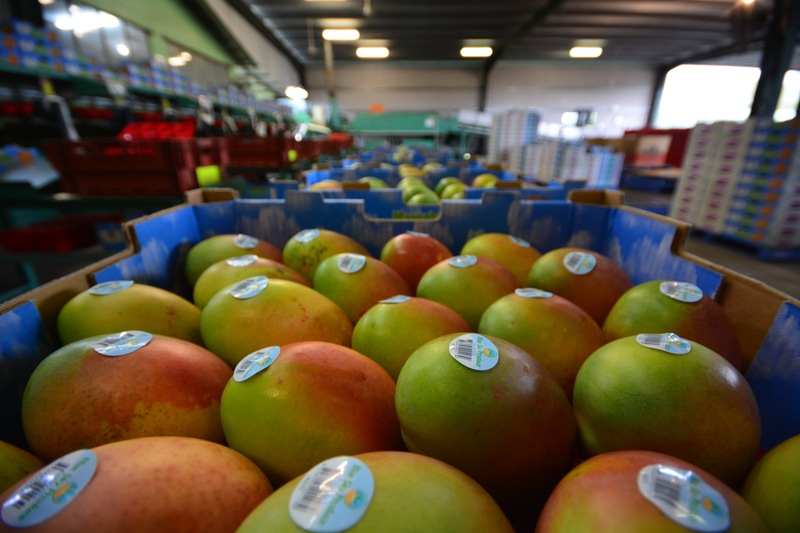 Blue Sky Produce Mangoes ready for market! Ooopsy, a little over the five photo limit, but I am always too wordy! So what did you think? 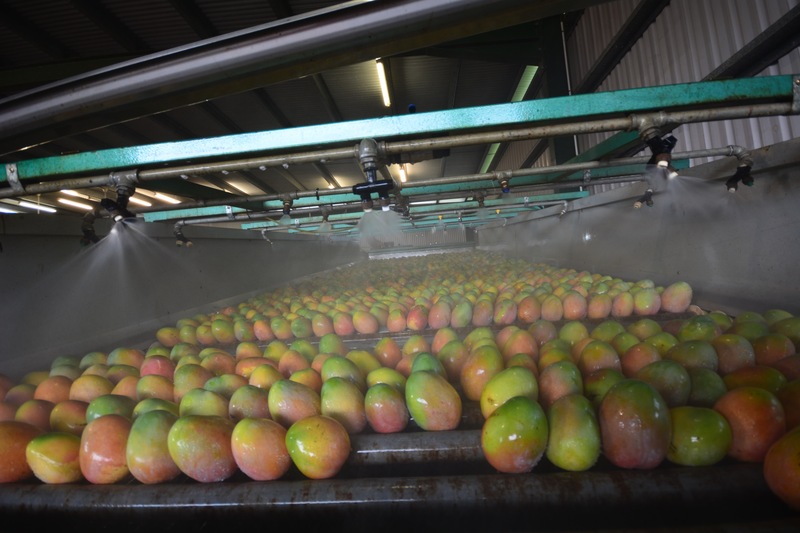 Ready to come and be mango farmers/packing shed workers yet?